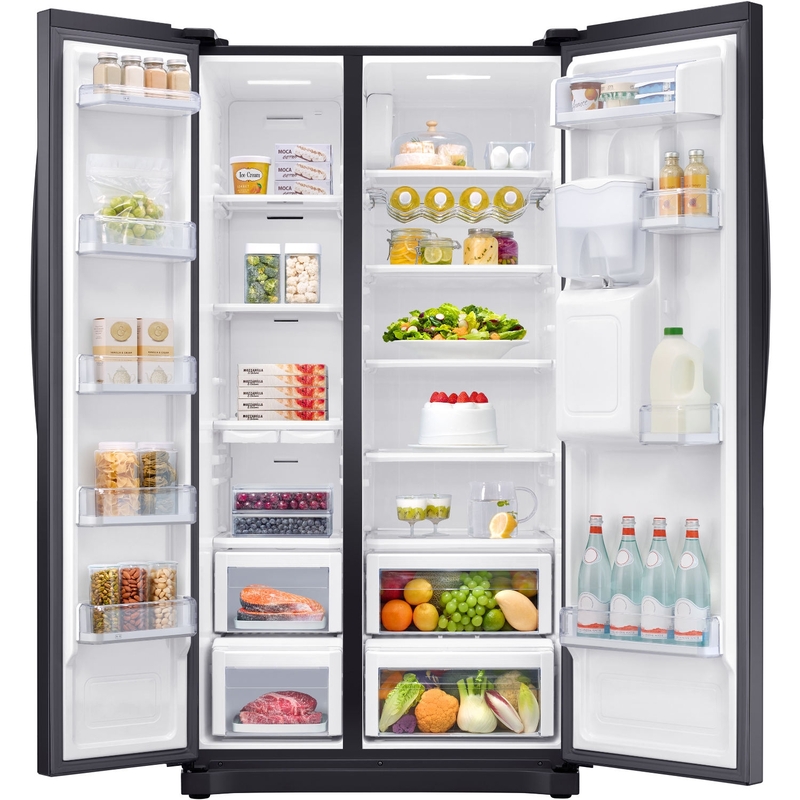 Looking for a stylish fridge freezer with plenty of space? Then the American style RS52N3213BC from Samsung is the model for you. 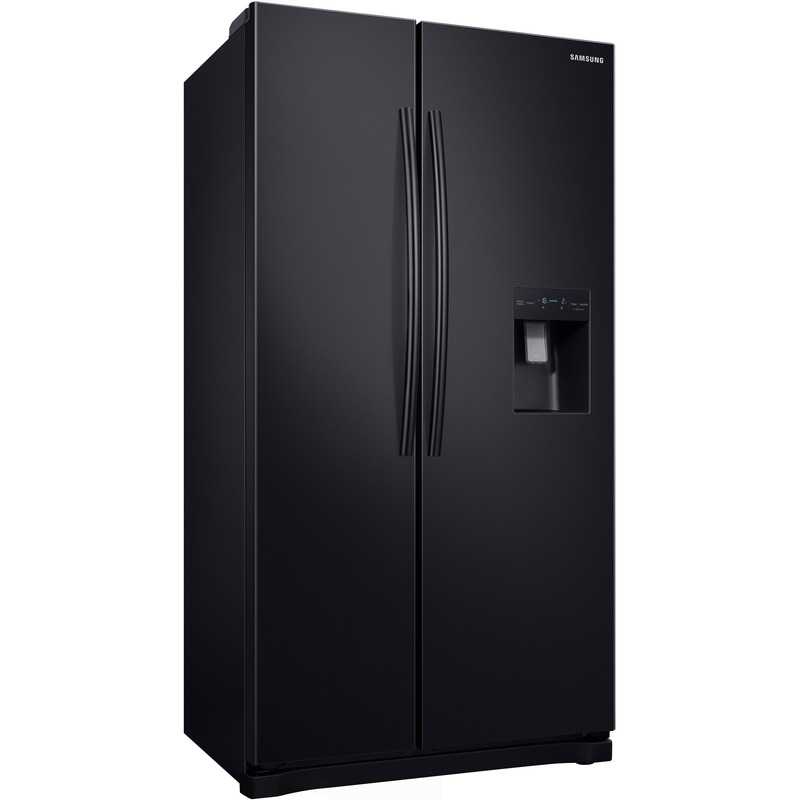 Offering outstanding features, this fridge freezer prevents frost build-up and will keep all of your contents chilled evenly. Take away the hassle of manual defrosting with Samsung’s RS52N3213BC. Featuring Total No Frost technology, even temperatures are maintained across both compartments, preventing ice from building up. Even better, this fridge freezer also benefits from an All Around Cooling function – where strategically placed vents circulate cool air, to achieve consistent temperatures. As a result, your food will stay fresher for longer. A fridge freezer is one of the centrepieces in any kitchen. With the freestanding RS52N3213BC, you’ll find a fantastic combination of style and storage. It’s an American style appliance, making it an instant status symbol and a must-have for larger families. Plus, this Samsung model comes with a black finish, making it look effortlessly modern and elegant at the same time. And, you can see their contents easily thanks to the LED, which is brighter and more efficient than standard lightbulbs. Inside the freezer, you’ll find two generous freezer drawers in a clear design – so you can find your favourite frozen items quickly and easily. 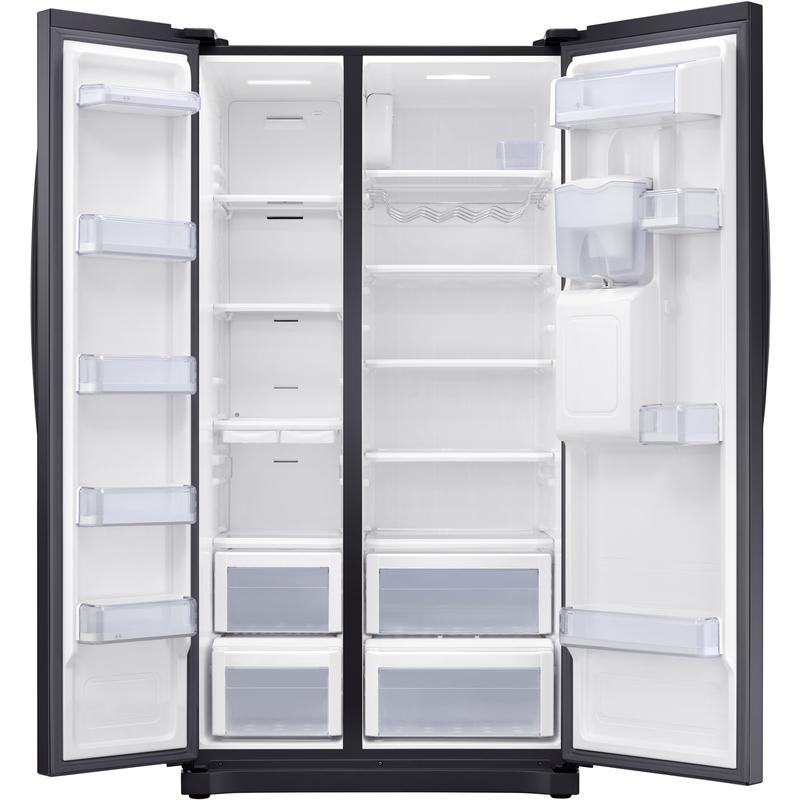 The freezer compartment is also four-star rated, meaning you can store food safely for up to 12 months. 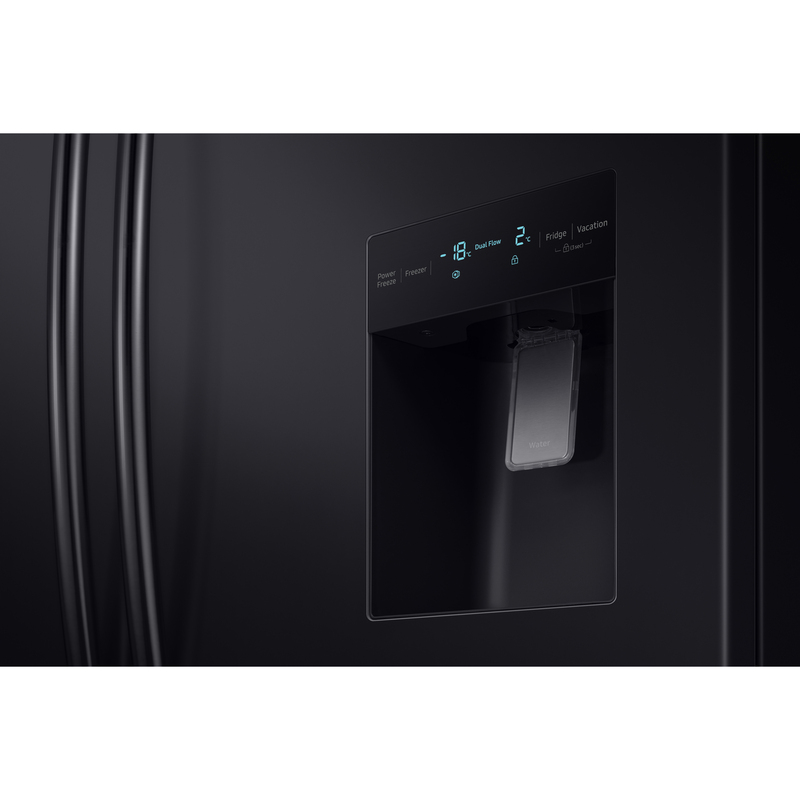 On top of the other fantastic features, this Samsung fridge freezer even has a non-plumbed water dispenser. This allows you to enjoy cool and refreshing water at your convenience. There’s no need to worry about the impact of the RS52N3213BC on the environment or your bills. 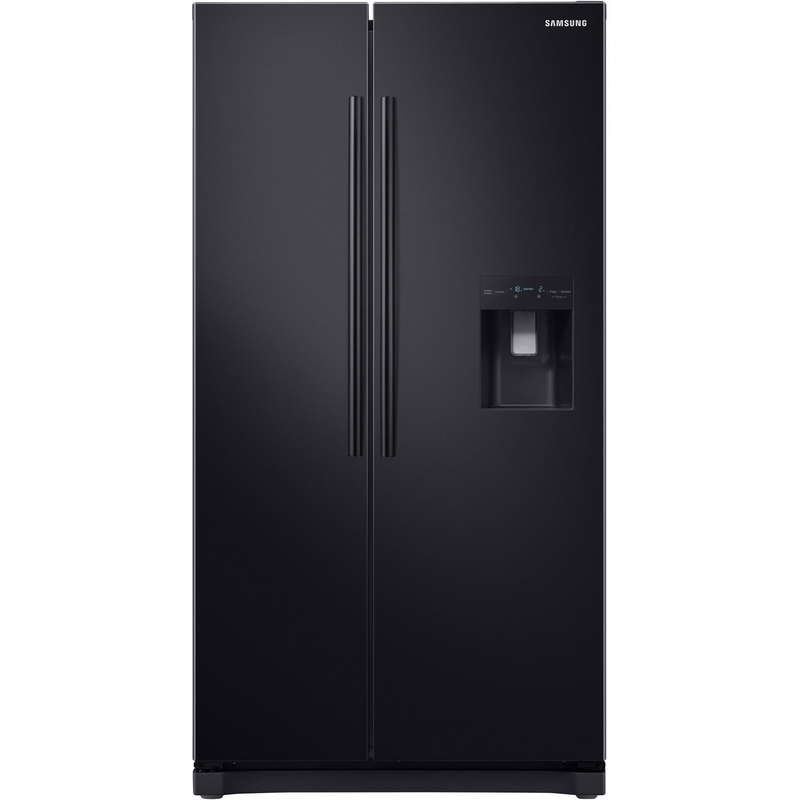 This Samsung fridge freezer is rated A+ for its energy efficiency, and has an annual average running cost of only £28.63. This is largely thanks to the inclusion of Samsung’s game-changing Digital Inverter Compressor. Not only does this reduce your carbon footprint, but it also means that your fridge freezer is quieter, running at 43 decibels. Store your food in style with the Samsung American Style RS52N3213BC. 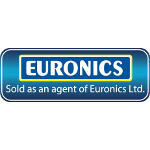 Get yours today at Euronics.